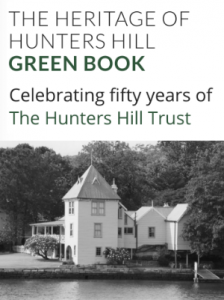 Concerned Hunters Hill residents are convening a public meeting to call for an end to Government inaction that has delayed the decontamination of the Radium Hill industrial site in Hunters Hill for over 40 years. Residents want the NSW government to act on the unanimous recommendations of the 2008 Parliamentary Inquiry to remediate the site in Nelson Parade. The land is owned by Property NSW. The EPA declared the site ‘significantly contaminated land’ in 2007. The EPA issued a compulsory Management Order requiring Property NSW to remediate the site in November 2014. Approval of the remediation plan has been held up by the Department of Planning. 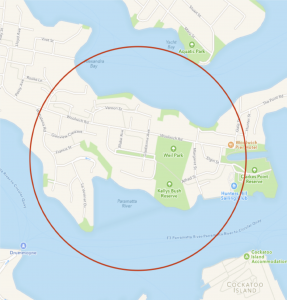 Late last year the EPA ordered Property NSW to conduct a meeting with interested stakeholders (including over 500 households in the vicinity of the site) reporting on its progress in remediating the site. Key Ministers have been invited to speak at the public meeting. 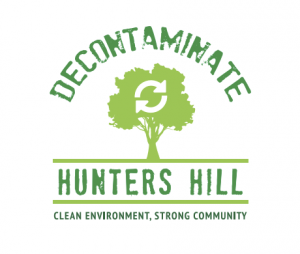 More information: Decontaminate Hunters Hill. Tagged Decontaminate. Bookmark permalink. Post a comment. We are seeking to promote exactly that sort of discussion and would encourage you to come along on the evening. Apart from the immediate health risks, which as you say may be low, it is important to recognize the social impact and anxiety promoted by the uncertainty around the health impacts and the stigma impact on property values. How would you feel if you had been promised by the Government over 40 years ago that your land would be remediated and still nothing has been done? Similarly, we have evidence from the leading local agent that property sales as far away as Mayfield Avenue have been impacted by their proximity to the site. The Government’s own valuer has accepted discounts of up to 50% caused by the stigma of proximity. And if you were an elderly person who might otherwise be seeking to move in to aged care and wanting to access the value of your home to finance that move but couldn’t because of the stigma, would you think it fair? This is a complex issue. It needs to be looked at from a variety of perspectives. The Government has never suggested that the cost of remediation is a sticking factor. And right now the Government owns three otherwise valuable properties which are unable to be occupied because the Government declared them to be unsafe for human occupation. We all benefit massively from the campaign the Kelly’s Bush Battlers put up years ago. It’s time now we helped our fellow community members to encourage the Government to get on with finishing the job! I look forward to seeing you on 20 February. PS. The EPA determined that 500 meters was the relevant distance for residents who may be affected by the Government’s delay in giving effect to the compulsory Management Order that was made in 2014. Dear John, My initial point was that there is no risk to other residents in Hunters Hill from Nelson Parade, and only a low risk if they happen to live on the affected properties currently owned by government.There is no statistical evidence that would or could support a true cancer cluster due to the presence of the contamination.There is no miasma that exudes and affects the lives of the citizens despite the assertions of the real estate industry.There are some options in dealing with this matter. 1. Do nothing. None will come to harm.2Trucking the contents away requires a dump site.None currently available. 3.Barge it away and sink it off the coast- politically unacceptable . 3. Consolidate the hazardous material and bury it deep in a well-lined hole on one of the properties.Cover it securely and allow for future removal . Politically acceptable; two properties can be released for sale and local residents fears can be allayed.4 I do not know if it is possible to chemically concentrate the radionuclides(leaching?) but that might also be an option.I still don’t understand the 500metre zone.